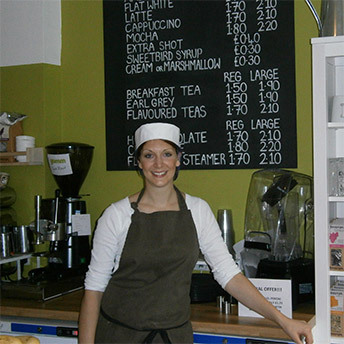 With a love of coffee and a passion for customer service, Catherine Horniblow was keen to open her own coffee shop. She had a hunch that the Custard Factory in Digbeth would be a good location. A trial run in a small unit confirmed that there was a demand for what she wanted to offer – freshly prepared food at a price people can afford to pay every day for lunch – and, of course, good coffee. She was quite surprised to find that, in spite of this, the banks struggled to see the potential in opening a larger cafe. Unable to get the funding they needed from the banks, Catherine’s business partner looked for alternatives and found ART. The loan from ART covered the cost of interior decor, tables, chairs, crockery etc, for the new cafe and helped to secure a leasing arrangement with Lombard for the equipment needed to fit out the kitchen. Yumm is going from strength to strength and Catherine has plans to open more outlets over time.